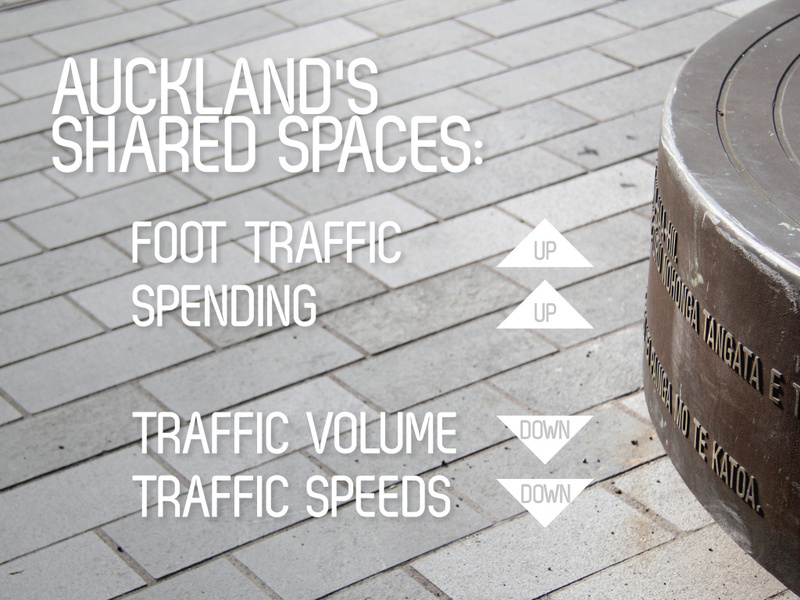 Auckland has implemented a comprehensive Shared Space programme in its city centre over the past four years. This blogpost briefly describes what shared spaces are; what the drivers were for the shared space programme; what has been delivered; and key results of the programme to date. The programme is then critically evaluated through a Next Generation Transportation lens and recommendations made on how to improve the programme. Shared spaces are streets in which there is no traditional kerb but instead a level surface shared by pedestrians, cyclists and motor vehicles. Pedestrians have absolute priority in the space but are not to unduly obstruct the movement of motor vehicles. Speed limits are as low as 10 km/h and motor vehicle access is only for loading and unloading (7am-11am seven days a week) and access, with through traffic discouraged. 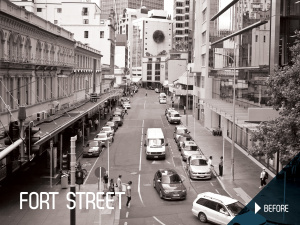 The key idea behind the programme is to deliver this city centre laneway circuit of north south and east west laneways linking Aotea Square, the primary civic space, to the Britomart Transport Centre, the key hub for Auckland’s bus, train and ferry services, as a series of shared or pedestrian spaces. 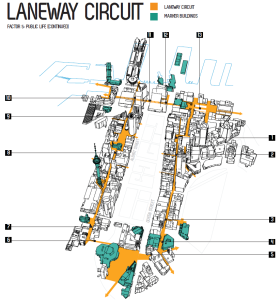 To date, eight shared space projects have been implemented, four of these as part of the planned laneway circuit and the other four on other city centre streets. 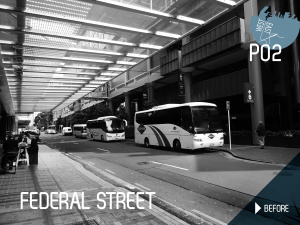 In addition, various pedestrian space upgrades have taken place to Upper Khartoum Place and Bledisloe Lane as well as a forthcoming upgrade of Freyberg Place. The physical transformation of the spaces delivered by the shared space programme is striking. Before and after imagery has been carried out by Auckland Council to demonstrate this as can be seen in the following before and after image. 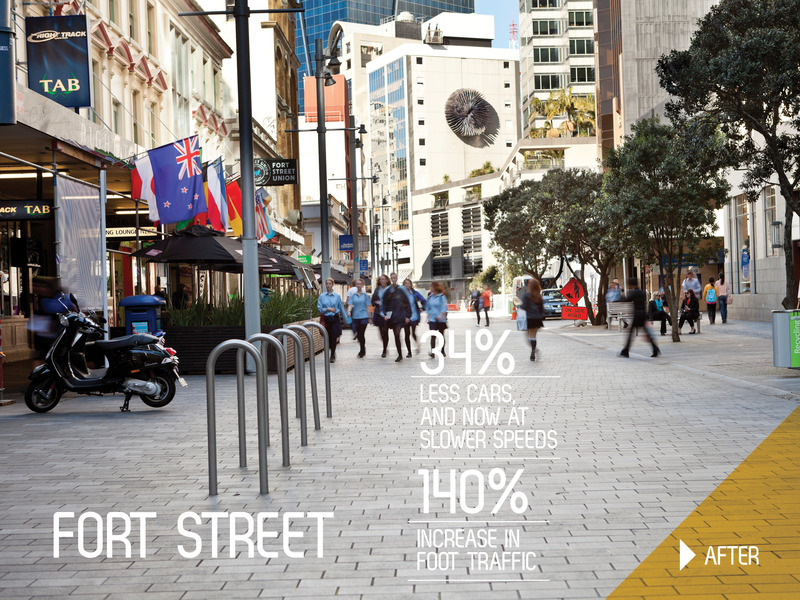 Post-evaluation work has been carried out by Auckland Council on all of the shared space projects which demonstrates the following impacts from the Shared Space programme. The shared space programme was a carefully crafted compromise to improve the pedestrian realm while not being seen as being anti-car. This got skeptical city centre stakeholders “over the line” with the programme, funded out of a targeted rate on city centre businesses, whereas immediate pedestrian space conversion was seen as a step too far. The choice to go down the “Shared Space” instead of “Pedestrian Space” path was driven by practicality. Nearly all of the shared spaces, except Jean Batten Place, have some access and business servicing function where it would be simply impractical to ban vehicle access. The key strengths of the shared space programme are clearly reflected in the results of the post-evaluation work detailed in the previous section. 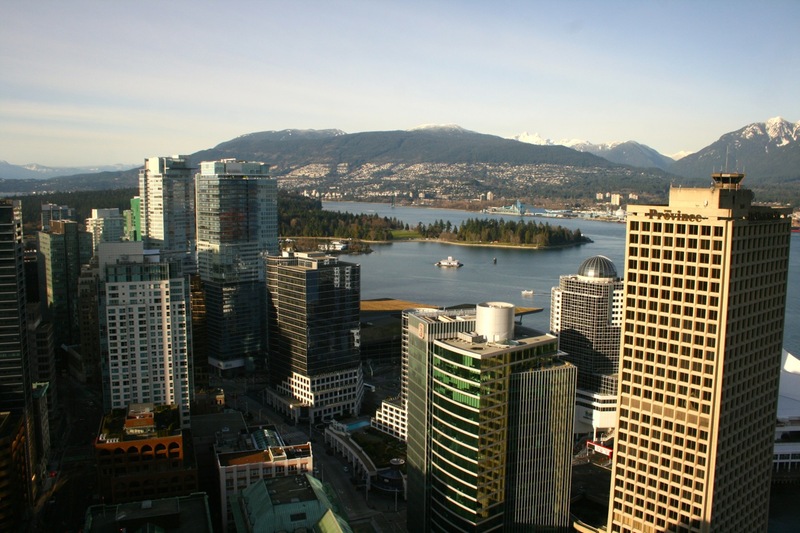 However, the biggest change is the mindset shift of key city centre stakeholders, such as business associations and key property owners such as Sky City, moving from being skeptics to converts. 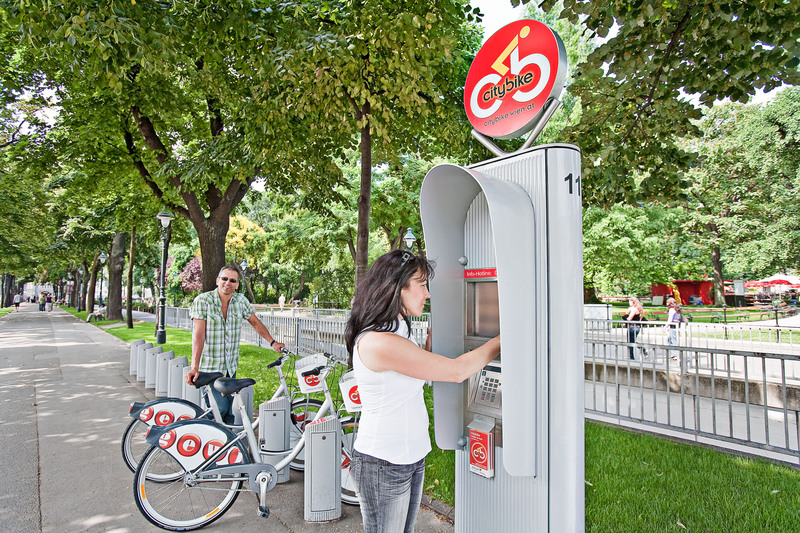 However, the biggest strength of the programme is the activation of the street by pedestrians and businesses which was simply not feasible in their former car-dominated state. 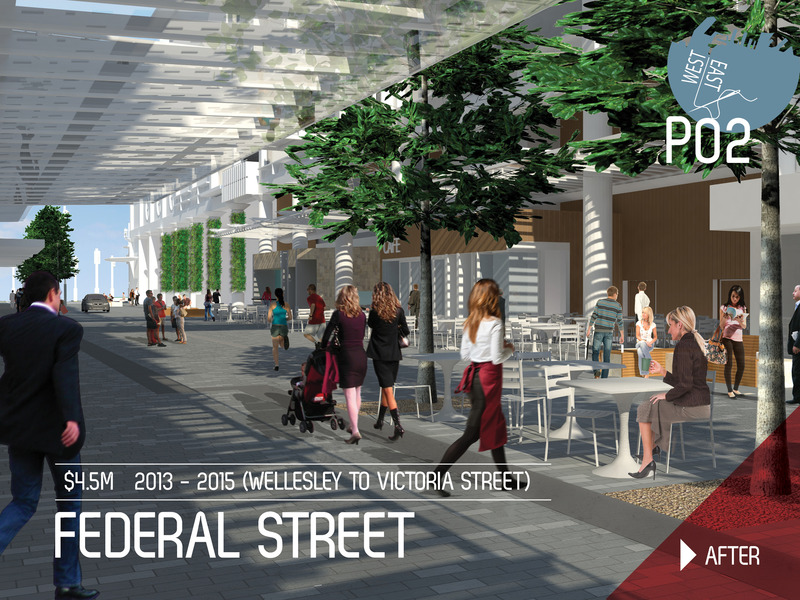 In fact, the Sky City complex, anchored by the Sky Tower, Casino and Convention Centre, which occupies an entire city block and presents a largely blank face to the street funded $5.5 million (or 55%) of the cost of the Federal Street shared space project precisely so that it could open itself up to the street, and generate more revenue for itself at the same time. Sky City had tested the waters with this in advance of the Federal Street shared space conversion with the opening of the Depot Eatery and has since opened a number of other eateries on Federal Street, including The Grill, Federal Street Delicatessen, Bellota, Gusto and MASU. This has attracted an upscale clientele who, it could be speculated, might be more reluctant to partake of food offerings inside the casino itself. 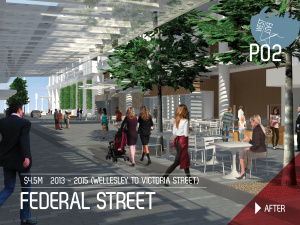 This is highlighted in a separate part of the Sky City website promoting their Federal Street offering. Another element of space activation was the work carried out by shared space project managers during the construction phase to ensure that the spaces were activated as soon as construction was finished by working with adjacent property owners to maximise the opportunity presented. An example is working with these businesses to ensure permits for street dining, including liquor licensing, are in place when the shared space opens. This was particularly evident in O’Connell Street where around five separate businesses opened up to the street very shortly after the shared space opened. Weaknesses of shared spaces are often the flip side of their strengths. 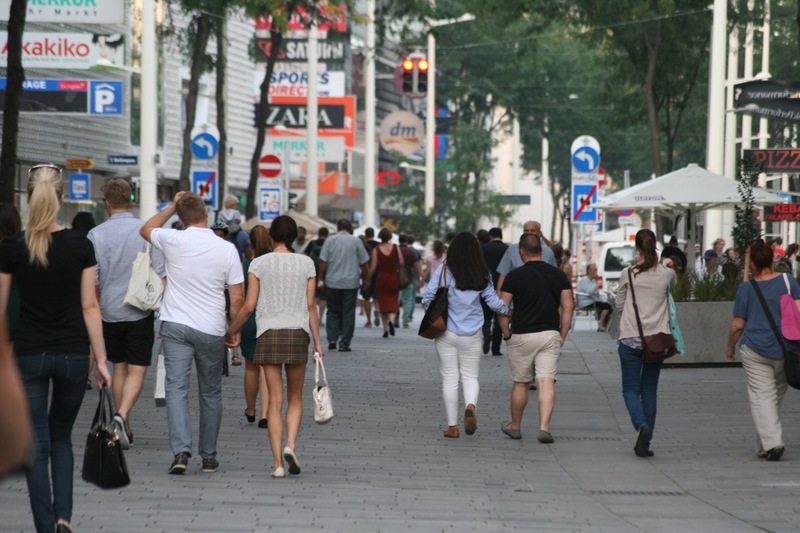 The movement network of city centres, including Auckland’s, is dominated by pedestrians, yet, unlike Vienna, there are relatively few pedestrian-only spaces in the city centre. While the shared spaces are a significant improvement on the previous situation, their deliberate ambiguity means that they cannot unambiguously be considered pedestrian space. In addition, shared spaces need pedestrians to function and to thrive and it is clear that they work best when large numbers of pedestrians are on the street but when pedestrian volumes are lower, car speeds increase and they are increasingly used by cut-through traffic. 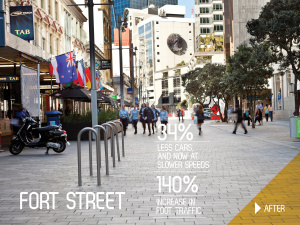 In the city centre, this issue will largely resolve itself with time, as the $10 billion in private sector investment in the city centre in the next decade will significantly increase the number of workers, students, shoppers and visitors while with no improvement in car access and in fact considerable planned road space reallocation to pedestrians, cyclists and public transport. Everyone, even car drivers, are pedestrians at some point in their trip. However, attempts to replicate the success of the city centre shared spaces in subregional centres such as New Lynn have been much less successful simply because, at this point in time at least, there are simply not enough pedestrians to “own” the space which ends up being a highly specced car street by default. 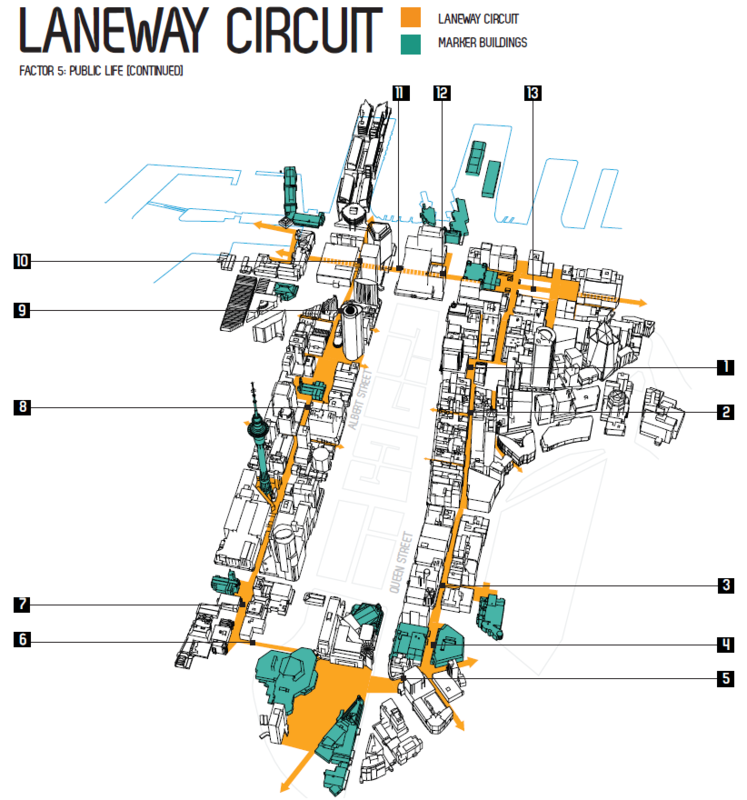 While the shared spaces implemented to date have largely worked in their own right, the full implementation of the city centre laneway circuit will provide significant additional north south pedestrian flow paths through the city centre. 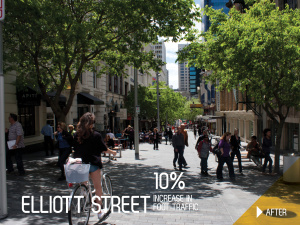 This will relieve pedestrian congestion on Queen Street, Auckland’s primary retail street – and main pedestrian-friendly north south street – where pedestrian peak hour counts (per side of street) are, in some cases, approaching 2,000, and provide activation, interest, colour and most of all pedestrians, to a range of potentially much more interesting streets. (1) Discourage through traffic: Reduce any unnecessary through-traffic function in shared spaces by providing alternative access on conventional streets. (2) Better enforcement of parking restrictions: While shared spaces only permit parking from 7am – 11am, they are often used all-day for delivery, drop-offs and pick-ups. Better enforcement would keep the spaces clear of parked vehicles at the times they are most heavily used by pedestrians – lunchtimes, after work and in the evenings. (3) Plant trees and introduce other elements that require deflection by motorists. Shared space design is often quite linear, with no deflection (change of direction) required by motorists. They could also do with more tree canopy cover to provide shade for pedestrians, deflection for motorists and help reduce the heat island effect of large quantities of impervious paving. This would have the positive side-effect of reducing travel speeds by motorists due to their psychological narrowing effect. (4) Where car access is not required, convert into pedestrian space. Where motor vehicles do not need access to a shared space for either access to parking or for servicing buildings, consider converting shared spaces into pedestrian spaces. (5) Trial part-time closures of shared spaces to motor vehicles. 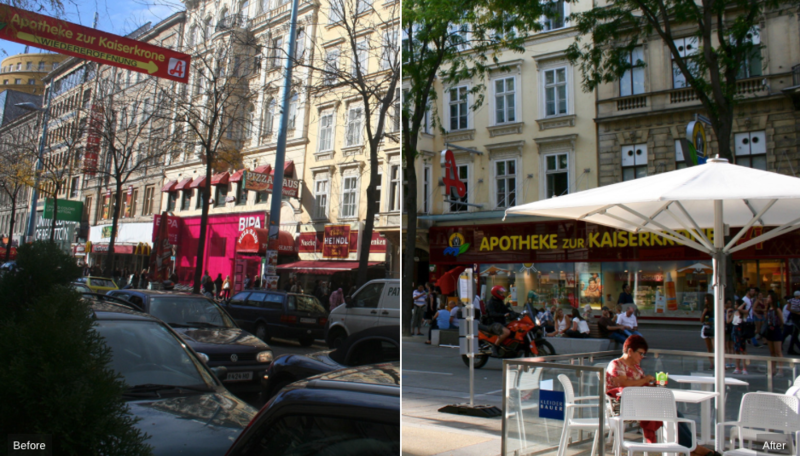 Examples could be nigh-time closures of shared spaces which have a high-level of night economy activity or lunchtime closures of shared spaces which, since shared space conversion, have become popular lunchtime gathering spaces. 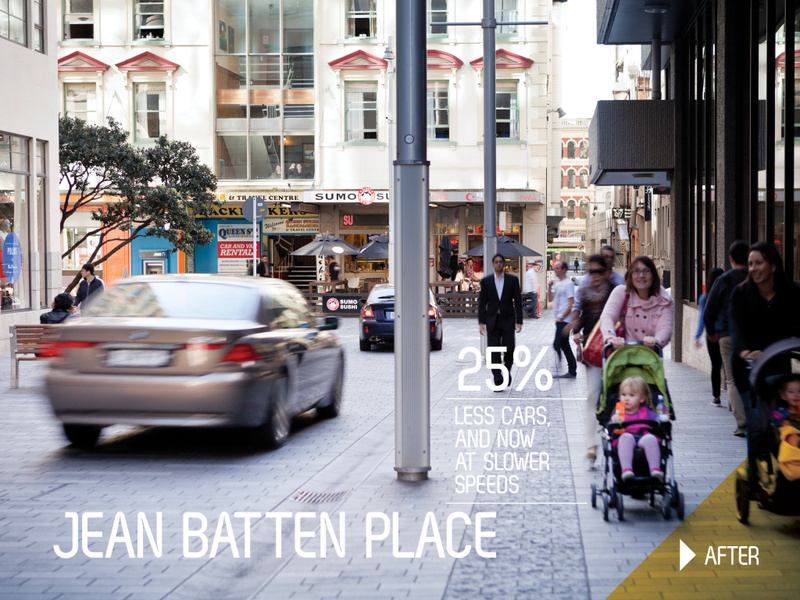 (6) Carry out process to reduce speed limits in shared spaces where this hasn’t taken place. 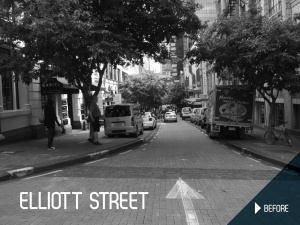 The Elliott Street shared space has been put through the speed limit setting process which requires the 85th percentile of speed to be no more than 7 km/h over the proposed speed limit, verified through a speed survey. 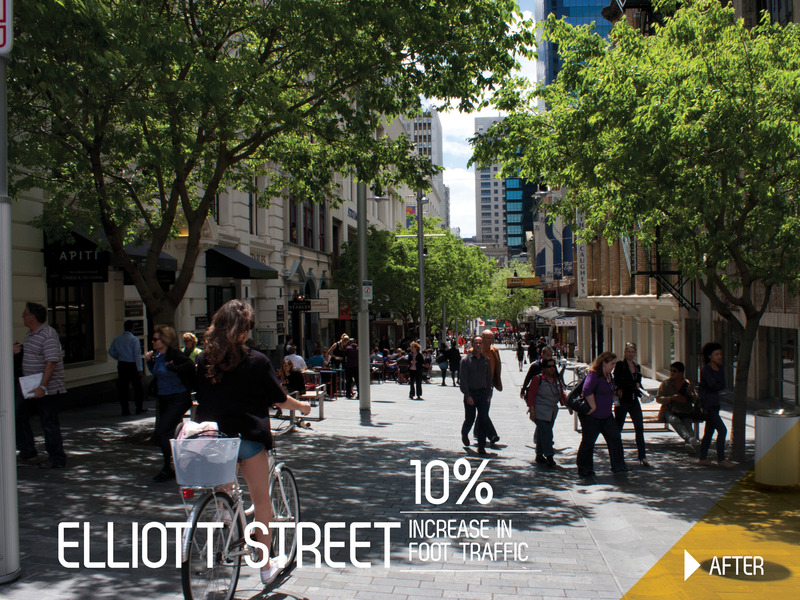 In Elliott Street’s case, the outcome enabled the setting of a 10 km/h speed limit. While the point of shared space is to design a self-explaining very low-speed environment, a speed limit that reflects this makes this speed legally enforceable and sets a clear expectation to motorists of the appropriate speed environment. If this process doesn’t take place, then the default urban traffic zone speed limit of 50 km/h applies, which is clearly not appropriate in a shared space environment. Image credits: Images kindly supplied by the Auckland Design Office, Auckland Council. The author of the above post is an employee of Auckland Transport, however, the views, or opinions expressed in this post are personal to the author and do not necessarily represent the views of Auckland Transport, its management or employees. Auckland Transport is not responsible for, and disclaims any and all liability for the content of the article.